Our Indian 8 Spice Collection is a set of 8 gorgeous spices classically used in Indian cuisine. Containing full size pots of our Cardamon Pods, Ground Ginger, Turmeric, Ground Coriander, Whole Cloves, Ground Cumin, Bay Leaves & Cayenne Pepper. With this collection, you'll be able to make lots of interesting meals & keep your store cupboard well-stocked. Bay Leaves are one of the few herbs that impart a better flavour when dried rather than fresh. 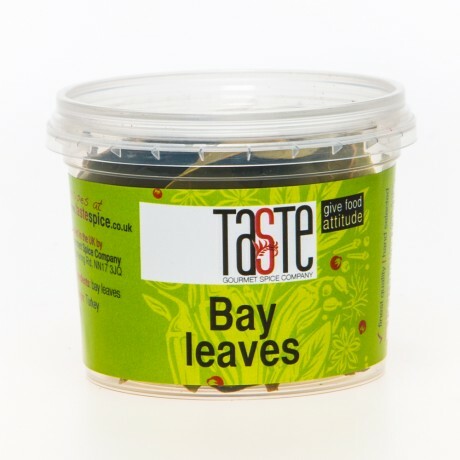 Bay leaves have been used as far back as ancient Greece & is still used in many European cuisines, particularly in France and the Mediterranean, as well as across Asia and the Americas. 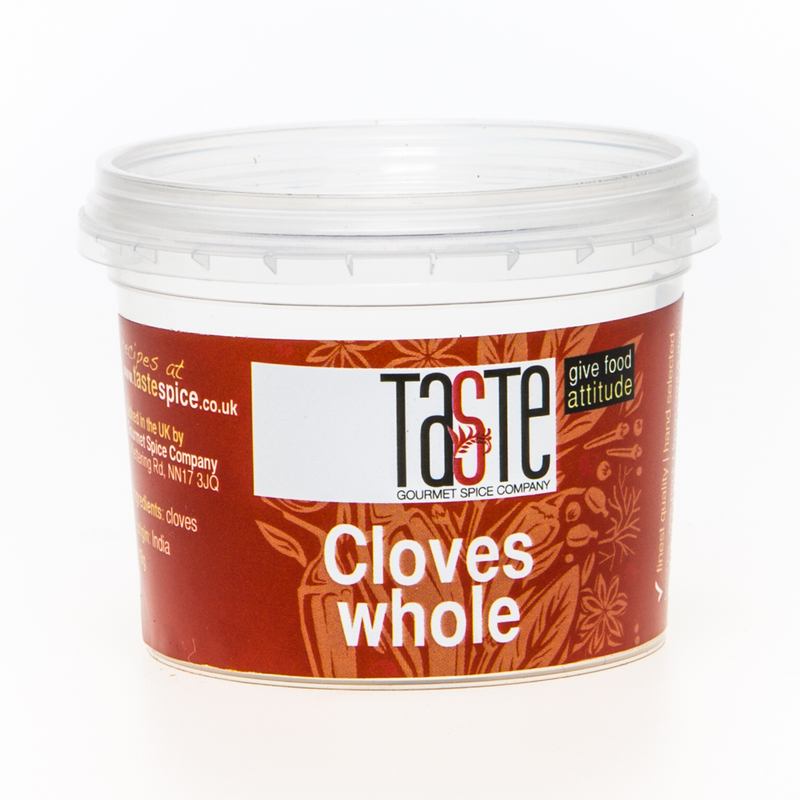 Use whole to flavour soups, meat, stews, seafood (our Classic Bay seasoningis bay-rich & incredible with crab! ), vegetable dishes and sauces. Remove before serving & certainly before freezing any leftovers. 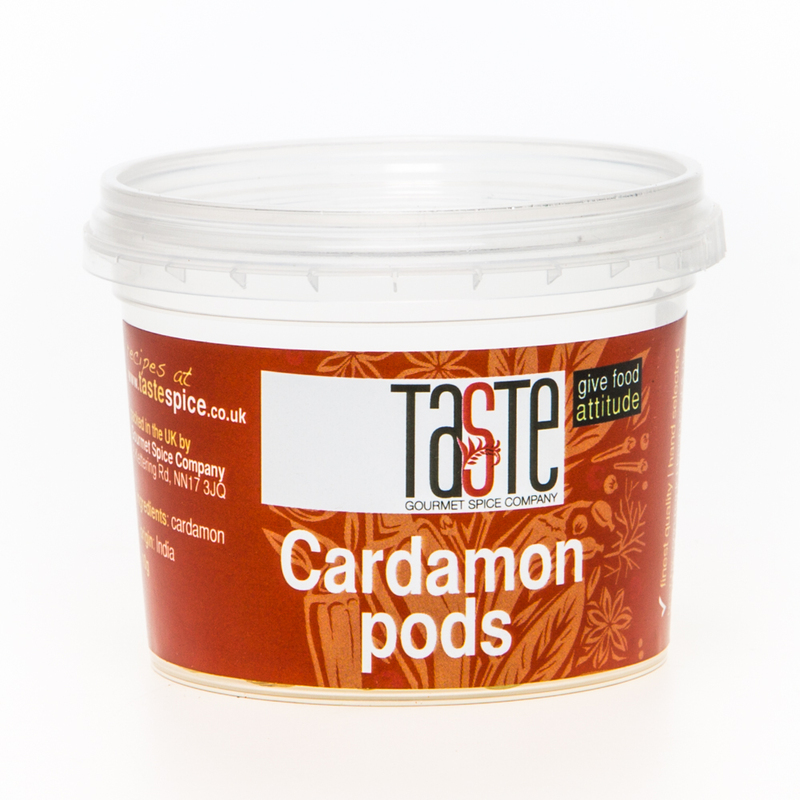 Cardamon Pods (or Cardamom) have a unique taste with an intensely aromatic aroma. It is a common ingredient in Indian cooking as well as Sweden & Finland where it is used in traditional baked treats. By weight, it is the world’s third-most expensive spice, beaten only by Saffron & Vanilla. Ground Ginger is citrusy, warm & fragrant, another store cupboard essential. A key ingredient in any World cuisine, ginger is also prominent in Ayurvedic medicine for its cleansing & detoxifying properties. Lending itself to use in both savoury and sweet dishes, it is a popular spice in Asian cuisine & can be added to soups, curries, jams, pickles, puddings, biscuits, breads & scones. 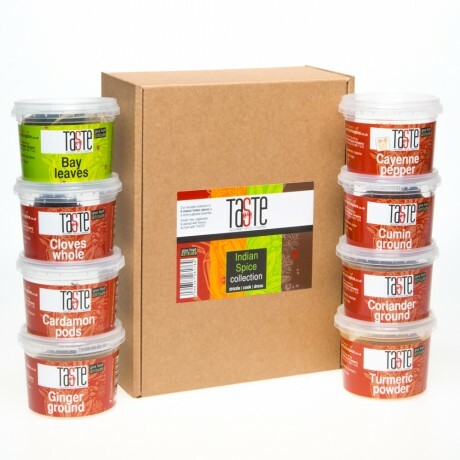 Stir into marinades, dressings, sauces & dips. 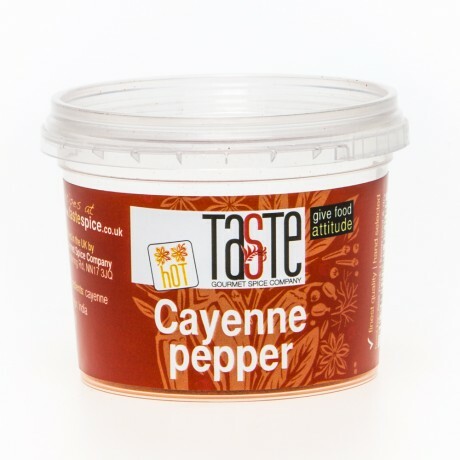 It works particularly well with chicken or a robust fish and blends well with fruit & vegetable dishes. Cayenne Pepper is a very popular spice in a variety of cuisines & usually found in powder form. It is also a key ingredient in a variety of hot sauces, particularly those employing vinegar as a preservative. Dust potatoes or root veg before roasting for a spicy twist, or add a pinch to chillies, stews & stir fries. With a Scoville scale between 30,000 – 50,000 it is hotter than jalapeños but less than chillies like the Bird’s Eye, Habanero & Scotch Bonnet. Because of its (somewhat) lesser heat, some of the fruitiness does come through, although it does still pack a punch! Ground Coriander: fragrant Ground Coriander has a lemony, citrusy flavour & is a key ingredient in so many dishes. Try mixing with Paprika & rubbing on a flattened chicken breast for a quick meal. Added to tagines, curries & stews, it partners well with chicken, pork & vegetables. Try a pinch on sweet potatoes before roasting or add to cous cous or rice dishes. 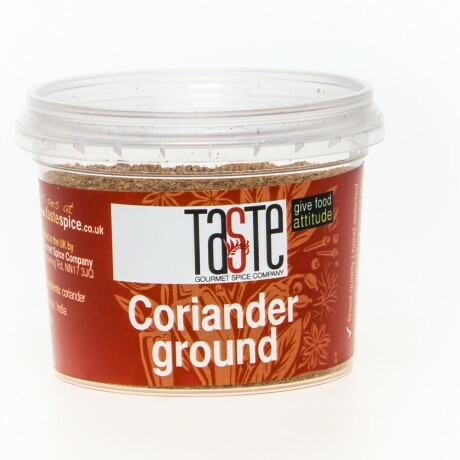 Ground Cumin: our pungent, earthy Ground Cumin has a very distinctive aroma & taste due to its essential oil content. Cumin helps to add a warming, earthy feeling to food. It enhances the appetite, taste perception & digestion. In the Ayurvedic system it is associated with the treatment of fever, loss of appetite & more. There are also many reported pharmacological effects as Cumin is thought to have some anti-diabetic, immunologic, anti-epileptic, anti-tumour & antimicrobial activities. Turmeric: Rich, golden yellow Turmeric powder is a store-cupboard essential. 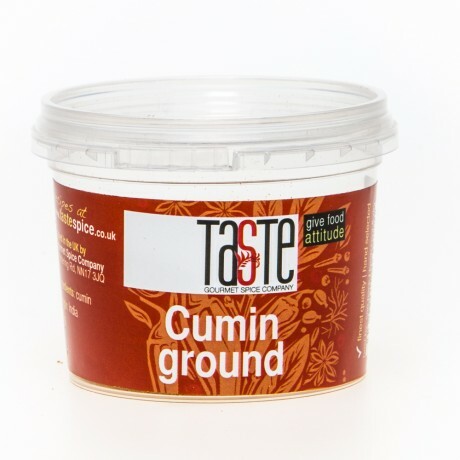 One of the active ingredients, cur cumin, has a distinctly earthy, slightly bitter, almost peppery flavour with a mustardy smell. As well as providing flavour, it imparts a rich yellow colour to food like curries & is also widely using in pickling, mustards and is even popular as a saffron substitute in rice dishes. As well as being a vital part in many Asian cuisines, curcumin has anti-inflammatory, antibacterial, antioxidant & antiviral characteristics; other compounds have antibacterial & antifungal properties too. 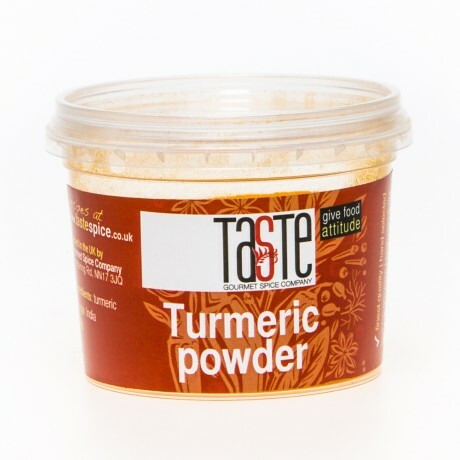 Turmeric powder is playing an increasingly popular part of many modern diets as its health benefits & medicinal qualities are becoming more widely understood. Turmeric Milk or Golden Milk is one of the most indulgent recipes using this fabulous spice. Cardamon Pods, Ground Ginger, Turmeric, Ground Coriander, Whole Cloves, Ground Cumin, Bay Leaves & Cayenne Pepper. This product is dispatched by Gourmet Spice Company. This item has a shipping weight of 500g.